A golden visa is a long term residency visa or a permanent residency document that is issued by a country to a foreign national in return for bringing in investment into the country. The investment normally happens in the form of real estate or a start-up business. During the validity period of the golden visa, the recipient can live and often work in the visa-issuing country. Quite a few golden visa recipients may use the residency permit as a means towards the ultimate goal of gaining citizenship of the issuing country. 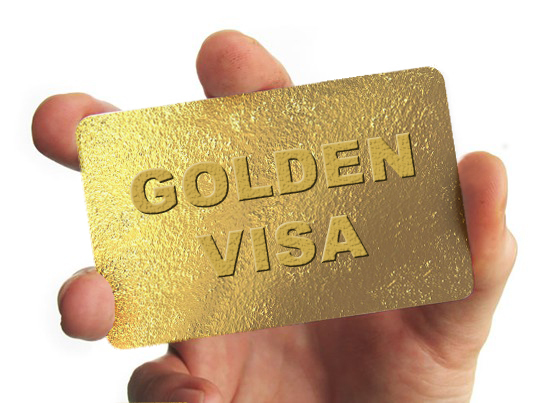 The term “Golden Visa” is not an official term for investment visas. It is simply a marketing phrase intended to make the concept attractive to wealthy foreign nationals. 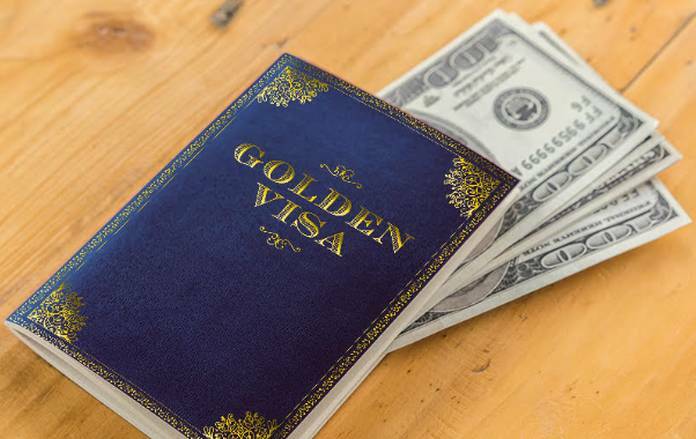 A golden visa simply refers to the fact that in return for some investment, a foreign national will receive preferential treatment during the immigration process. Essentially, the term communicates that if you can put forward some “gold” (cash), then you can jump to the front of the immigration queue. The concept of golden visas was known to have been initiated by offshore tax haven countries like St. Kitts and Nevis, Antigua, and other Carribean nations back in the 1980s. St. Kitts and Nevis first started the golden visa program because it was cash-strapped from British colonization. After it won independence, it needed a way to sustain itself financially. Slowly, wealthier countries like the UK, Australia, US, Canada, and New Zealand also saw benefits in having a golden visa program. Today, there are plenty of countries, from the Americas to Europe, and to Oceania that have golden visas and “citizenship by investment” programs. Who seeks such a thing? In the past decade, Chinese nationals have received the golden visa. In certain places like Portugal, Chinese nationals make up as high as 80% each golden visa issued in recent years. However, other countries such as India, Vietnam, South Korea, Mexico, Russia, and Brazil are also rising fast in the table of top recipients for golden visas and investor visas. The main purpose of seeking a golden visa is to either emigrate to a new country or to be able to visit the country and stay there long term. Some wealthy individuals from politically unstable countries look upon golden visas as an insurance policy against such instability. If dictators or authoritarian governments were to seize assets or confine individuals forcefully, then fleeing to the safety of a foreign country can be an important alternative. Certain foreign nationals seek to give their children a better education or more career opportunities. Hence, they may seek a golden visa for their families. It allows their children to live and study in a foreign country while the parents can shuttle between their home country and the visa-issuing country in order to manage business and family relationships. A lot of countries have liberal immigration policies and often do not require visas if one has a permanent residency of a European country. Easy world travel is also a reason why one would want to go for a golden visa. Why do countries issue this? While it is understandable for citizens of politically and economically challenging countries to seek a golden visa, wealthier countries also have their own set of reasons for issuing such visas. Portugal, for example, desperately needed investment in its real estate market which was in terrible shape in 2012. So, it began a golden visa program of granting residency for investment in property. Similarly, Spain’s government needed investment in its debt and so it began a program offering residency in return for investment in its debt. Countries like the US and Singapore realized that wealthy and successful entrepreneurs can create jobs and innovation in their countries. It began to invite such individuals through its investor visa programs. The example of St. Nevis and Kitts, post-independence, is already mentioned above. Singapore, Monaco, and other countries too had their own reasons to attract wealthy individuals and grew their economies by becoming tax havens. Thus, there were a variety of benefits for developed economies and countries around the world to offer golden visas to foreign nationals. Every country that issues a golden visa has its own rules and policies regarding such visas. However, the terms and conditions for getting a golden visa have some common features across most countries that offer such visas. The most common feature is the requirement for an investment in property in the issuing country. This requirement tends to range from a few hundred thousand dollars to over a million or two million dollars. Sometimes, the issuing country allows investments in government debt to gain a permanent residency visa. Some countries require the visa seeker to deposit a certain amount in a local bank account of the visa-issuing country and maintain that balance throughout the residency period. At times, a simple donation can get a wealthy individual a residency or citizenship. Once a residency visa has been granted, the foreign national has to then comply with residency requirements such as staying in the issuing country for a certain number of months every year. Investor visas of developed economies tend to require the visa recipient to start a business or create a certain number of jobs in the country. But such requirements vary from country to country. A lot of European countries have been offering golden visas. The concept has gained a lot of steam after the financial crisis of 2008. You can now get a residency visa just by buying property for about 250,000 euros. However, with the attractive terms come the conditions. Some of these countries will have rules about whether you can work in the country or not. Some of these economies have been battered lately, so getting a job there or setting up a business could be challenging. It is always better to consult an expert before making a decision. Greece: Apparently, Greece offers residency to a foreign national who is willing to invest 250,000 euros on a property. Cyprus: A property investment of a minimum of 300,000 euros can open the door to a Cyprus residency. If you want citizenship, then make a 2 million euro investment in stocks, real estate, bonds, or local businesses. Monaco: The shiny lights of Monaco are inviting for anyone who can gather up 1 million euros. Monaco requires a permanent residency applicant to hold 500,000 euros in a Monaco bank account and invest the other 500,000 euros into a property in the principality. There are some other supplementary conditions as well. Malta: Just like Greece, Malta is a great low-cost option for a golden visa. You can purchase a house or property worth just 275,000 euros and get a permanent residency. Investing 250,000 euros in government bonds along with some rented accommodation can also do the same. If you want citizenship straight-up, then donate 675,000 euros and purchase a 350,000 euro property. With citizenship, you can live, work, and study anywhere in the European Union. Portugal: Though not cheap, the Portugal golden visa is a pioneer of sorts. It has been one of the leading European countries to popularize golden visas. In 2012, it launched the golden visa program to prop up its real estate market. Today, for a 500,000 euro investment in real estate, you can get a residency permit. Or you may transfer 1 million euros to a Portuguese bank account. St. Kitts and Nevis: The oldest golden visa program in the world is that of St. Kitts and Nevis. For just a mere 150,000 US dollars of donation money to the sustainable development fund, you can get citizenship. Or you can purchase a 400,000 dollar property and become a citizen. This program must be one of the cheapest ways of getting citizenship in the world. Antigua and Barbuda: Get an Antiguan second passport for a relatively small 100,000 dollar donation to the national development fund of this island or invest 400,000 dollars in a government approved real estate project. Caribbean islands make it quite easy to get a golden visa. Dominica: A 100,000 dollar donation or 200,000 dollar real estate investment can get you a Dominica citizenship. Having a Dominica passport means you can travel to 122 countries visa-free. St. Lucia: Donate 100,000 US dollars for an individual, 165,000 for a couple, 190,000 for a family of four and enjoy visa-free travel to 130 countries with a St. Lucia citizenship. There is no requirement of visiting the island either. This is perhaps as easy as it gets.